Discussion in 'Vape Reviews' started by sourcemore, Apr 14, 2019. Horizon newly launched Falcon King Vape Tank. It's a perfect combination of fashion and technology. Made of stainless Steel and resin material, the tank is ultra durable and exquisite. Adopting a bulb glass tube, the tank is able to hold large 6ml e-juice to satisfy your daily vaping. With the new refilling mechanism, you could click to open or close the top cap and refill it. Besides, the tank is compatible with all-new coils of M-Dual 0.38ohm mech coil and M1+ 0.16ohm mesh coil. The coils is made of bamboo fiber, which generates great flavor and has longer lifespan. Available in 10 colors. Oumier Wasp Nano RTA/Digiflavor Drop RDA/Horizon Falcon King!! 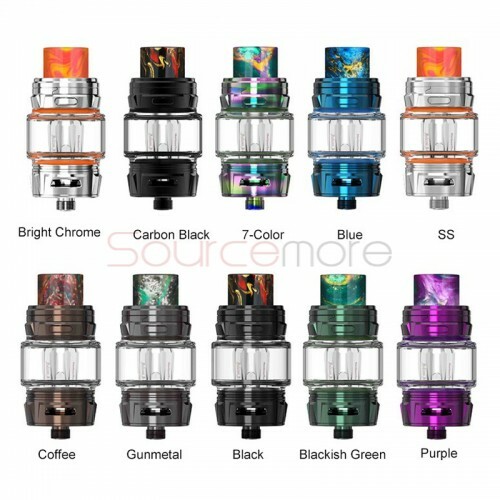 Hot Sale Crown 4 tank, Oumier Wasp Nano RTA and Horizon Falcon King Tank!